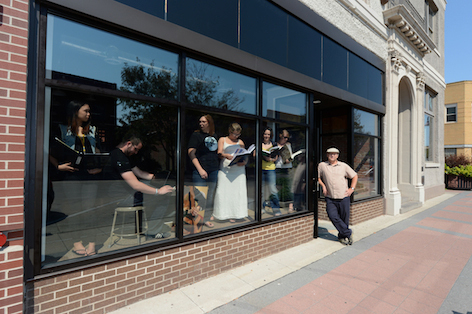 While walking down Main Street this week, Ames community members may have noticed a little more color than usual. More than 1,000 square panels have been added to the facade of the Design on Main building, located at 203 Main St. 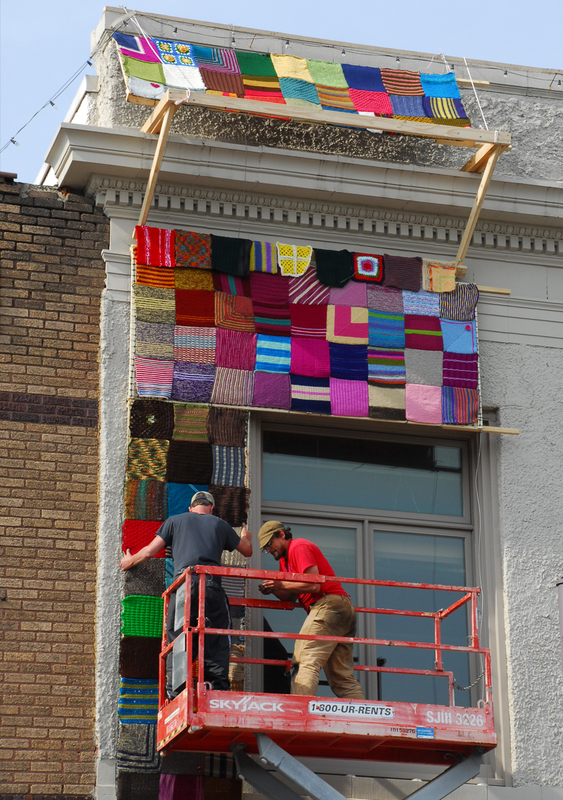 The panels were part of an ongoing project that started last August, where artists from around Ames and the country were asked to “yarn bomb” the front of the building.